The African Peacebuilding Network (APN) of the Social Science Research Council (SSRC), in collaboration with the Center for Conflict Management (CCM) at the University of Rwanda (UR), held a Proposal Development Workshop from June 18-19, 2018. The two-day event took place in Kigali, Rwanda and brought together scholars—primarily early- to mid-career university faculty with PhDs—and policy practitioners from institutions across Rwanda. They were also joined by top-level faculty and management staff from the University of Rwanda. The workshop was part of a set of initiatives to help build capacity among Rwandan researchers and practitioners working in the field of peacebuilding. It was composed of activities and training sessions to help develop the skills required for successful research proposal writing. Leading international experts drawn from the United states, Canada, UK, and several African countries were present to share their expertise and deep insights into the art of writing high-quality, internationally competitive research grant proposals capable of attracting substantial support and funding. The workshop combined lectures by esteemed scholars and practitioners in the field of peacebuilding, with small working group sessions where participants received constructive feedback to help them refine and improve their draft proposals. In his opening remarks, Prof. Francois Masabo, Acting Director of the Center for Conflict Management (CCM) at the University of Rwanda described the Proposal Development Workshop as making a significant contribution to the center’s mandate of strengthening research and improving the connections between the research and policy communities. He further noted that CCM was founded to inspire policy and produce knowledge for sustainable peace in Rwanda. 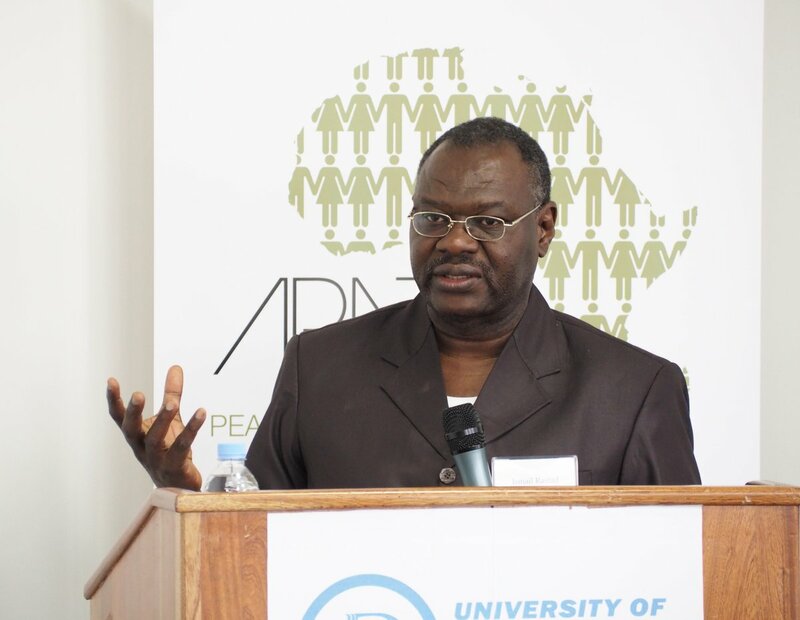 APN Program Director Dr. Cyril Obi drew attention to the APN’s track record, with the program having awarded 138 grants to recipients from twenty-six African countries over the past six years—cutting across generations, disciplines, regions, and genders. He highlighted the Social Science Research Council’s (SSRC) commitment to nurturing future generations of social scientists in Africa. Dr. Obi expressed his gratitude towards CCM, referring to it as a regional center of excellence in the field of genocide research, peace, and security studies. Dr. Célestin Ntivuguruzwa, Director of the University of Rwanda Centre for Postgraduate Studies, represented the university’s Vice Chancellor Prof. Philip Cotton at the opening ceremony. He spoke of University of Rwanda’ ambition to become a research-led institution and commended the APN for their contribution to that objective. The first plenary session began with a lecture by Dr. Frederick Golooba-Mutebi, a highly accomplished researcher and writer with expertise in political settlements and post-conflict reconstruction in the Great Lakes region. His presentation was on "Promoting Peace and Security in the Great Lakes Region." Dr. Golooba-Mutebi shared his research findings which suggest that post-conflict elite consensus in the countries of the Great Lakes region is better for stability than adversarial political processes, such as multiparty elections. He argued that "peace depends on consolidation of coercive force within the state," and that post-war competitive politics can make stability less likely. Elite consensus may therefore facilitate a viable and stable state building process. APN Advisory Board Member Prof. Heidi Hudson of University of the Free State, South Africa, spoke on “Framing Convincing Research Proposals, Topics and Questions for APN Grant Proposals.” She advised participants to ensure that their research questions and objectives flow from the central statement of purpose, and that they should be interrelated—logically as well as conceptually. She described the steps in the process in clear terms, encouraging the prospective applicants to: state their purpose, frame their research questions, consolidate them into an argument, and convey why their research is valuable and what contribution it will make to the field of peacebuilding. APN Alumnus Dr. Duncan Omanga (IRG 2014), a lecturer at Moi University, Kenya, where he is also head of the Department of Publishing and Media Studies, gave the next lecture on "Contextualizing Peacebuilding Research in Africa: Minding the Gaps." Dr. Omanga observed that peacebuilding is a growing academic field of study which combines several disciplines. He called for a better understanding of the more complex aspects of peacebuilding as a diverse set of concepts and practices involving different actors and different objectives, including peacebuilding as stabilization and peacebuilding as social justice. Dr. Omanga encouraged the researchers to take a more Afrocentric view of peacebuilding, elevating the local context of their research even as they aim to engage international discourses. The day’s final lecture was delivered by APN Advisory Board Chair and Vassar College professor Ismail Rashid who spoke on “Conducting Field Research in Conflict-Affected Settings: Hints on Writing, Managing Budgets, Ethics, and Cultural Contexts.” He cautioned workshop participants to be well grounded in ethical research practices, noting that many often fall into unethical behavior unknowingly. Prof. Rashid also advised additional sensitivity when conducting research in post-conflict contexts, where visible signs of trauma and tension may not be immediately evident. In closing, he urged participants to ensure no harm is done to the communities they work with as a result of their research, even comparing this commitment to the Hippocratic oath medical doctors take. During the small working-group sessions that followed, participants gathered into pre-assigned groups of four to six led by a resource person/mentor, during which they presented their research proposals to their groups for feedback and constructive critique. Workshop mentors are chosen for their excellent track-record in scholarship, publishing and/or policy-engagement. Each mentor had a chance to review the proposal and prepare feedback in advance. The goal of the working-group sessions was to strengthen the participants’ draft research proposals so that they are more competitive for top international grants and fellowships. Participants were given ample time over both days of the workshop to receive both one-on-one feedback from their mentors, as well as advice from their peers within the group setting. 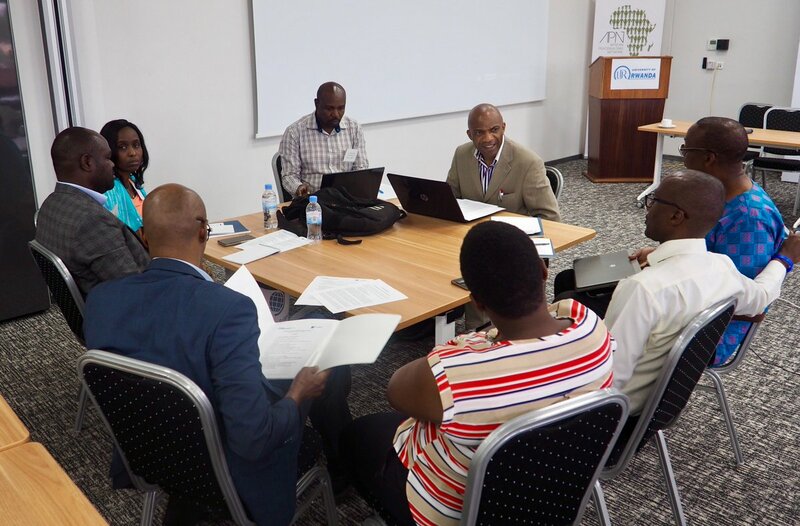 This year’s Proposal Development Workshop mentors were Dr. Yolande Bouka, Dr. Duncan Omanga, Prof. Heidi Hudson, Prof. Kenneth Omeje, and Prof. Ismail Rashid. Day two began with a lecture by APN Advisory Board Member Professor Kenneth Omeje on “The Fundamentals of Field-based Research Methods for Peacebuilding in Africa.” Prof. Omeje advised participants to think broadly about “fieldwork” and to make good use of primary and secondary data, including archives and online databases. He told the researchers that that they do not need to generate primary data for every aspect of their research questions. He also told them to ensure that the research methods they choose are appropriate to the particular questions they seek to explore. APN Associate Dr. Yolande Bouka, a postdoctoral fellow at the Josef Korbel School of International Studies, University of Denver, USA, gave the final lecture of the Proposal Development Workshop: “Techniques for Writing Award Winning Proposals: A Reviewer’s Perspective.” Drawing from her considerable experience reviewing research proposals for grant applications, Dr. Bouka shared crucial insights into the review process and the mindset of the reviewer. She advised participants to demonstrate that they have the requisite skills, capacity, resources, and institutional support necessary to carry out their proposed research project. This is especially important given that reviewers can't reach out for follow-up questions about the applications they are assessing. She also urged them to take the time to review the literature to ensure their work is actually as original as they claim and is in fact filling a gap. If it bears strong similarity to others' research, she suggested that they demonstrate engagement with that work and show the reviewer how they are building on it.